"Promise me you'll get out alive." An international trailer has debuted for a WWII thriller titled HHhH, or also The Man With The Iron Heart, since no one really knows what HHhH means. 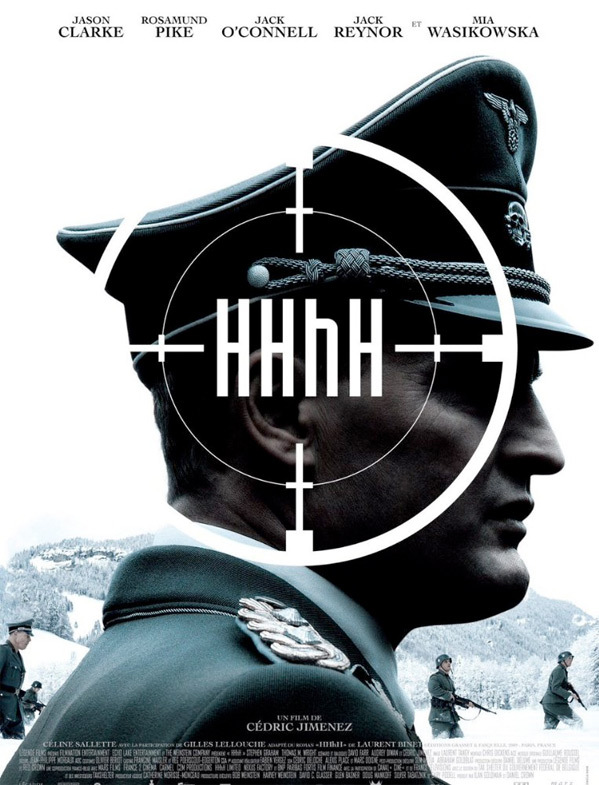 The film tells the story of the assassination plot of Reinhard Heydrich in Prague, in May, 1942, when the Third Reich is at the peak of its power. This is the same mission known as "Anthropoid" that the other film titled Anthropoid is based on - they are the same exact stories, different films. This one also features an impressive international cast including Jason Clarke, Rosamund Pike, Jack O'Connell, Jack Reynor, Noah Jupe, Adam Nagaitis, Enzo Cilenti, Oscar Kennedy, and Mia Wasikowska. This was finished a few years ago, but has been kept in the can ever since, perhaps to distance itself from the other Anthropoid film. Check it out. 1942: The Third Reich is at its peak. The Czech resistance in London decides to plan the most ambitious military operation of WWII: Anthropoid. Two young recruits in their late twenties, Jozef Gabcik and Jan Kubis, are sent to Prague to assassinate the most ruthless Nazi leader - Reich-protector Reinhard Heydrich, Head of the SS, the Gestapo, and the architect of the "Final Solution". HHhH, or The Man With The Iron Heart, is directed by French filmmaker Cédric Jimenez, of The Connection and Aux yeux de tous previously. The screenplay is written by Cédric Jimenez, David Farr, and Audrey Diwan; adapted from the novel by Laurent Binet. The film is set to open in Europe starting this summer, including in France on June 7th, and in Scandinavia later this fall. There is still no US release date set yet. Stay tuned. Who's interested?